Not sure if which housing is right for you? Take our free and anonymous Housing Quiz! Interested in apartments? Please take a look at our off-campus housing page and Harvard University Housing for more details. Room Availability: Please note that room availability is posted in the online housing portal. You will be able to shop and select from the available inventory after applying for housing. Our available inventory can only be seen after submitting an HLS Housing Application. Please note that you will need your HLS e-mail login credentials in order to submit an HLS Housing Application. If you are a newly-admitted student, the Admissions and ITS teams are working hard to get you this information as soon as humanly possible. It is not possible to submit a housing application nor reserve an on-campus room prior to receiving these credentials. 2. 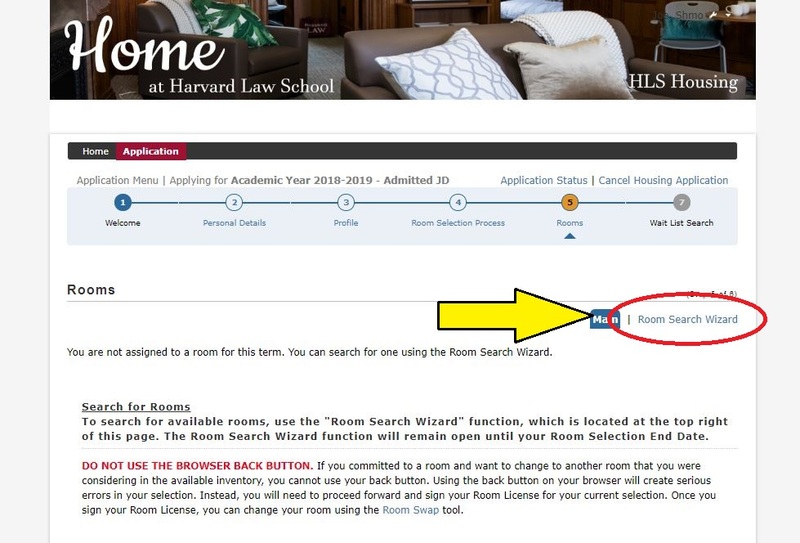 Once you reach the page called “Rooms”, you have officially submitted your application and can now begin the selection process. 4. If there are no spaces available when you begin shopping for a room, or you are not interested in any of the available rooms, you are not obligated to select a space. We do not foresee the addition of any other spaces at this time in the year…rather; expect the available housing inventory to decrease as we move forward. 5. Please note that Harvard University Housing is a separate system and has a separate housing application. You are welcome to submit applications for both housing systems! There is no fee or penalty to submit or to cancel an application before a housing contract/lease is signed.